A beautiful author bio section is an essential part of a WordPress post. 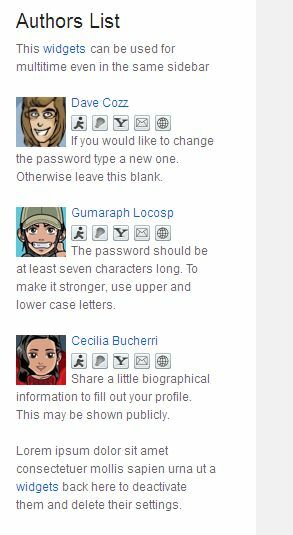 Some themes have an inbuilt option for displaying details of the writer, including his latest posts, social media profiles etc. If your theme doesn’t have such option, search for author bio plugins and install a suitable one. There are a number of author bio plugins available in the WordPress library to display your biography in an attractive manner. Choosing the right plugin that matches your requirements, theme design- is up to you. These are our favorite author bio plugins for WordPress. This is a premium plugin from CodexCoder. Ultimate Author box will give professional look to your profile, as it has excellent features including the way to display biography, recent posts, social media profiles, comments, and avatar. Fully customizable panel and unlimited color schemes are the main attractions of the plugin. It comes with over 15 pre-designed templates, unlimited color scheme, pop up display, social media feeds and more. 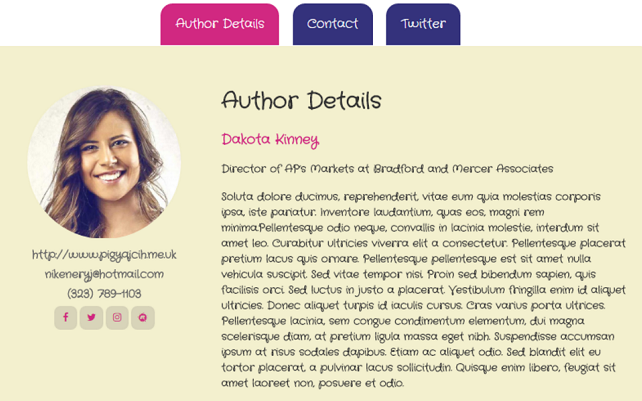 It is a responsive box that shows the author name, avatar, biography, website at the end of the posts. It is integrated with more than 30 social media accounts. WP Author Bio will show a brief description of the author, social media connections and the number of posts in an elegant way. It supports many social networks including Facebook, Twitter, Pinterest, Instagram, Google+, LinkedIn, YouTube and others. It is a great plugin to show biography widget in WordPress. 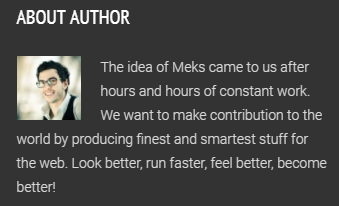 Meks Author Widget automatically detects post authors and show their details on single posts and author archives. It is customizable in terms of avatar image size, avatar image link, user display name link and you can replace the widget title with user display name if needed. It is another premium plugin for WordPress users. Advanced Authors Widget allows you to display blog authors along with their avatar images, biography, post counts in the sidebar. 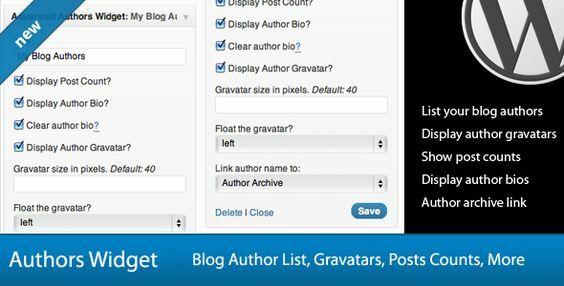 You can set Gravatar size, the number of authors to be shown, manage the display order and exclude any author by their ID numbers etc. Author Bio Box will show the writer’s biography and social media connections at the bottom of the post. You can set size for an avatar image, assign a color for backgrounds, texts, title, and borders to give a unique look to your author bio section. Author Box gives you full control over the biography section. It comes with many advanced features like 6 predefined skins, responsive-unlimited tabs, option to hide box per post, customized placements, contact form tab, widgets, and so on. Elite members is one of the best author bio plugins for displaying top contributors, authors on a site. It offers 3 author box styles and 4 author listing styles with unlimited color combinations. The biography can be inserted anywhere in WordPress via shortcode, template tag and shortcode. Authors Widget lets you display your site authors with biography, recent posts and others in the sidebar. It will also show latest comments of the user, contact info, image, feed links in 3 predefined templates. Admin can customize the plugin in several ways including show/hide certain authors, show their post counts, manage avatar size etc. Are you using any author bio plugins? Which is your favorite?